Our creative team of associates places a big emphasis on impressive results. These experts deliver on time, every time. We’re a team that’s small enough to care and experienced enough to create a real difference for your business. Rob is Angle's owner and Creative Director. 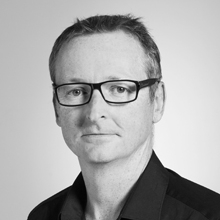 With his background in the best UK and NZ design and brand agencies, and a career spanning 26 years so far, he has vast experience of all things graphic design and branding.His unique approach mixes strategic thinking with creativity and intelligence, helping clients to develop powerful brands with a memorable point of difference.He established Angle in 2011. 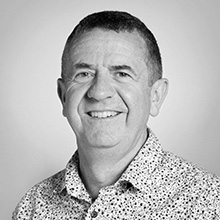 Alastair has worked in the employer branding industry in the UK for over 20 years managing complex projects for some of the UK's largest employer brand agencies (Riley's, Barkers, Bernard Hodes, TMP Worldwide UK and Tonic) and for some of the UK's largest clients (Accenture, Lloyds Banking Group, HSBC, Network Rail to name a few). The projects he has managed have ranged from an award-winning social media driven exhibition campaign for Tesco, the UK's largest retailer, to an award-winning brochure for Berwin Leighton Paisner, a top 10 UK law firm. 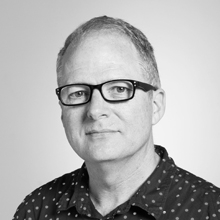 With a smattering of website awards as well in his back pocket, Alastair brings a wealth of employer branding project consultancy experience to Angle and the NZ market. With a Graduate Diploma in Business (Marketing Major), Donna has over twenty years experience working with businesses of all sizes, from corporates to start-ups, in New Zealand, Australia and the UK. 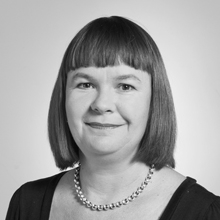 Donna focuses on the marketing aspects of website design, including content, website structure, navigation, usability, search engine optimisation (SEO) and website maintenance. She is also a highly skilled digital project manager who speaks plain English. 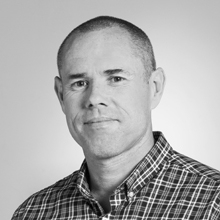 Mark has over ten years experience in the web design and development field. 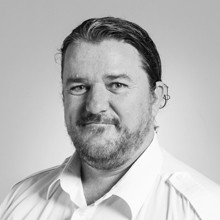 In recent years Mark has focused more on development, working primarily with the open source PHP based WordPress content management system. He builds and customises WordPress themes using supplied design, this includes development of responsive websites which adapt to the device they are viewed on - desktop computer, tablet or smartphone. 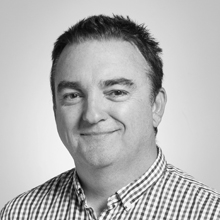 With his background of pre-press knowledge, Paul is a vastly experienced and flexible addition to Angle’s team. 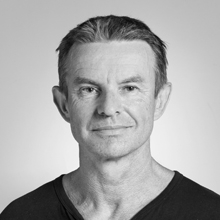 His artworking and production skills have seen him work at New Zealand’s most established design agencies, as well as in the high pressure advertising environment. With Paul onside, every job is in a safe pair of hands. Whether he's preparing files for print or for digital use, they will receive the utmost attention to detail. As an added bonus, Paul is also an expert Photoshop retoucher. Robin Hodgkinson has 25 years experience shooting in New Zealand and Australia, working with designers and art directors to create images for a diverse range of clients. In addition he has around 20 years experience in Photoshop, often combining these two mediums to create images that would otherwise not be possible for logistical or budget reasons. Robin is technically savvy, a great problem solver and never afraid of a challenge whether it's in studio, or on location. 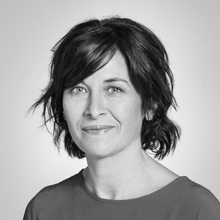 Following four years as sole retail copywriter for Vodafone Australia and NZ, for the last seven years Kate's focus has been on building brands and campaigns across a diverse range of business sectors. With a passion for sustainable brands, Kate works with copy from concept to execution – bringing an ear for the right tone of voice and a solid understanding of customer experience. This has won her both excellent long-term client relationships and a few rather lovely awards. In 1998 Gavin retired from a 15 year career in athletics as a javelin thrower, representing New Zealand at Olympic, Commonwealth and World Championship level. Gavin developed a keen interest in design and programming, and after spending many hours behind the screen, has developed a wide range of technical skills in both graphic design and website development. With Angle, he continues to push the boundaries in design and web technologies. With a career dating back to 1983, Mal has a vast knowledge of everything visual. He is an extremely talented and adaptable illustrator and Photoshop expert who places great pride in quality and precision. The fact that Mal enjoys his work as a career and a hobby is a bonus, and his skills always shine through. If you ask Mal what keeps him going, it is seeing a happy client and an end product that looks great and does the job well.